Amazon has got the Wisdom Panel 3.0 Canine Breed Identification DNA Test for $79.99 with free Prime shipping. It got 4.2 out of 5 stars over 1,448 customer reviews. If you've adopted a rescue mutt and would like to know about his breed in order to be more predictive about his behavior or potential health issues, this is basically the best test out there for the money. I've done a little research on this, and while there are a number of doggie DNA tests out there, the Wisdom Panel is the one that seems to give you the best bang for your buck. There are cheaper tests, but in consumer testing, they have not given inconsistent and inaccurate results. 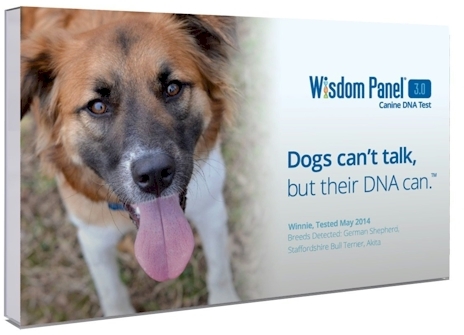 There are also far more expensive tests out there that don't offer as much information as Wisdom Panel does.